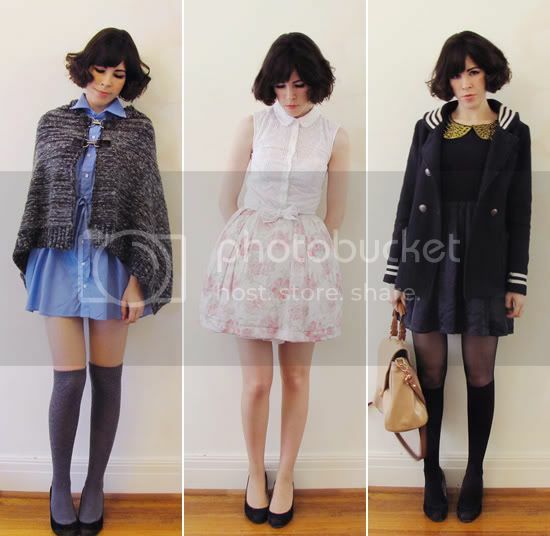 Here are the remaining three dress outfits from my second week participating in Frocktober. I only just realised when I was editing these photos together tonight that I wore the same shoes in all three, my trusty old Mavi wedges from Rubi Shoes. With two more week left of October, I'm still aiming to raise $205 more to reach my target of $300, which will be donated straight to the Ovarian Cancer Research Foundation. 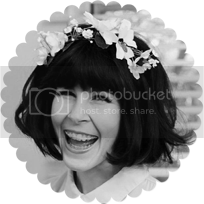 If you would like to get involved, you can frock up for the month of October to help raise awareness and/or make a donation by clicking here. Thank you to everyone for your support! lovely! i just wanted to ask, i see you wear a lot of Rubi shoes and being on your feet all day in retail don't your feet get sore from the flat shoes with no support? In love with all of these! You are so gorgeous. Great outfits. My favourite is the nautical look. Love the witchery bag. great size and colour. I love your style so much! You always look so lovely! You're such a noble spirit. I love all these looks and I'm so envious of your gorgeous coat! Can you believe me that I didn`t realize that they were the same shoes till you said it? As the three outfit were different the shoes change also. Hello! I am glad I found your blog. I have been reading many past posts and love them all. 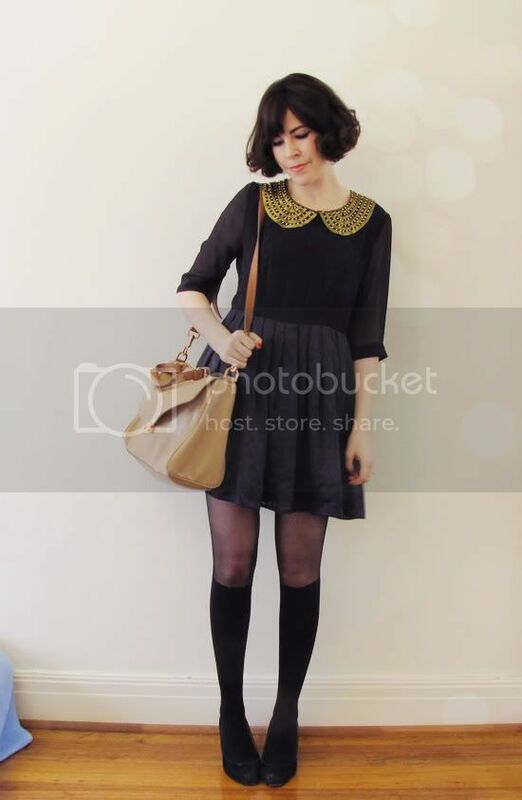 Where did you find the lovely lace ankle socks? They look so cute! i never would have noticed the shoes were the same. 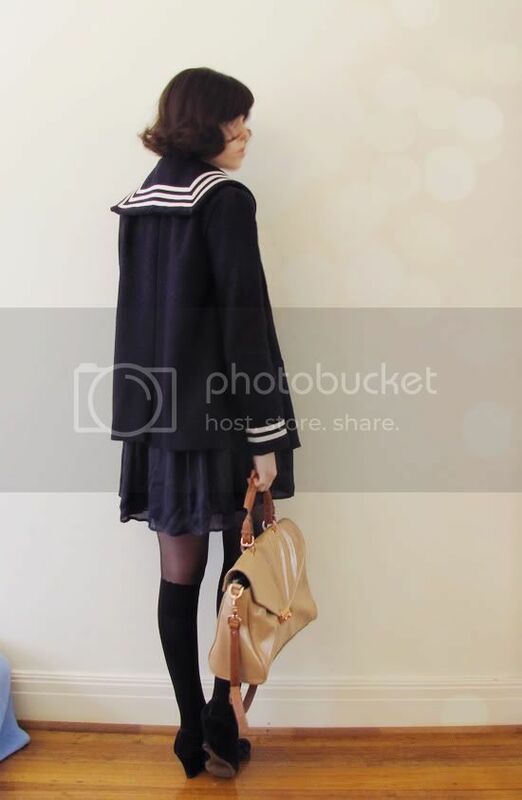 that vintage sailor coat is a treasure. 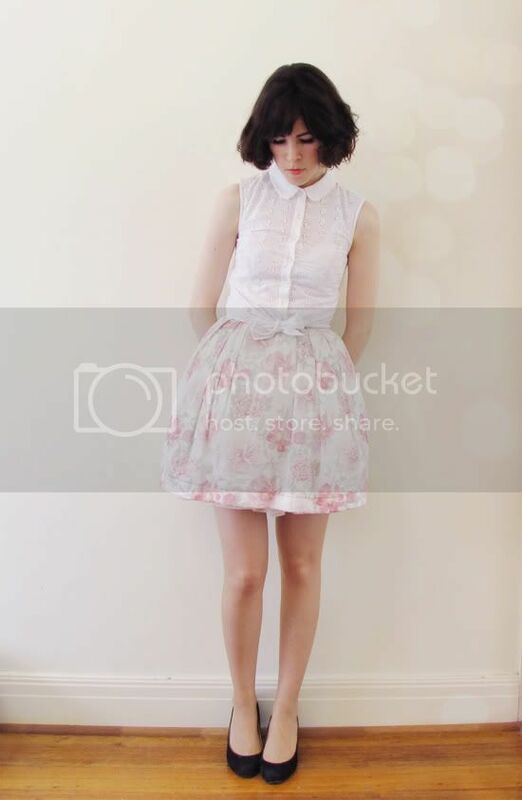 the floral skirt makes me smile. 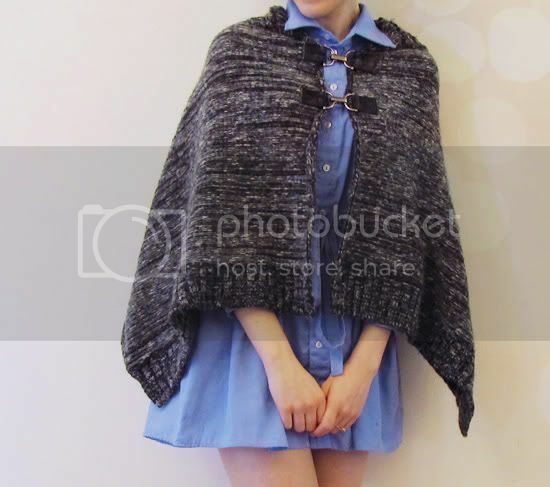 those grey stockings compliment the grey knit cape perfectly.